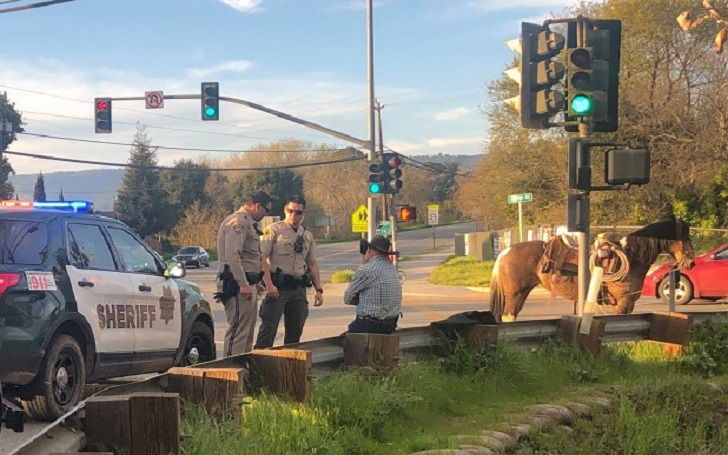 A man from Santa Cruz, California was arrested last weekend after being found riding a horse while he was drunk. Authorities said that engaging in drunken horseplay is as dangerous as operating a vehicle in the eyes of the law. California Highway Patrol (CHP) officers taken the man was taken into the custody for public intoxication on Sunday, March 18. He was riding a horse along State Route 152 near Watsonville, Santa Cruz County, California. California Highway Patrol shared a post yesterday writing, "Remember it is illegal to not only drive a vehicle under the influence, but also a bicycle, motorized scooter, hoverboard, and a horse." CHP referred to the horseman as a "suspected DUI rider" in the Instagram post. “Yes, we did say rider!" According to the Fox’s Bay Area station KTVU report, the man was not initially arrested for DUI, but after an investigation, he could be charged with driving under the influence. The news station reported that the horse was brought home by a family member while the man was taken to a sobering center.